Simply trying to attract satisfactory customer involvement with ''sizzle'' is certainly not sustainable in serving your customers' needs. The importance of the business relationship with customers, while always primary, has accelerated in importance in a more recent consumer market. The fact that many new software features are placed before consumers to fascinate their imagination rather than to serve their needs brings into question the practicality of developing new specialties for user devices to meet the consumer demand for so-called bells and whistles. Customer interest in feature "toys" can soon fade, leaving a sizable unsold inventory. In the rush to attain customer acquisition and to retain consumer interest, organizations at times fully devote all departments to developing strategies for consumer engagement. However, simply attracting customer involvement with "sizzle" is not sustainable. Customers are enthralled with the new features and updates that are paraded before them in every software market. The bells and whistles, the brilliance and shine of tools and widgets fascinate consumer imaginations, at least for a short time. However, the novelty often wears off once use shows new features to have unsustainable appeal. The challenge to business is, therefore, to place before consumers software features that can sustain interest and provide distinct value. This challenge speaks to which features will attract sustainable interest and value, as well as how to produce features in time to relevantly introduce them into the market. Computing is a system. Although executed using binary ons and offs, computing is a consolidated system. Customer interaction activates the computing system, which places customers in a cooperative alliance with computers towards the acquisition of information and contact with experience. The synergy of computers and customers place designers in the central position of creating computing features at customers’ requests. Approaching innovation from the actively synergistic perspective of consumer experience with computers can initiate feature design which is enticing while providing a genuinely required service. Computing architecture comes about through insight into the customer’s comfort, imagination, and sometimes vision levels. In respect to interactive computing, the shape of the hand-held device, the ease of understanding, the ease of dexterity, and visual acuity emerge through the designer’s view into the customer’s imagination and even unrealized aspirations. Intuitive innovation contributes technology that the customer also acts upon intuitively. This is the height of innovation. The shape of a mouse that naturally accommodates the palm, the touch of a mobile phone icon, flipping a light switch — these innovations have certain complexity in their makeup. However, innovative design has presented them as intuitive to customers. Intuitive design, therefore, begins with keen perception. Rationality and logicality create what is operative. However, it requires insight into possibilities directed at customer needs, preferences, and imagination to innovate intuitive design. The computing environment determines the capability and means of innovation. The properties of computing platforms fundamentally support the possibilities for innovative design. Computing infrastructures must sustain the meaning, significance, and intent of computing design. The expansion or limits of creative functionality are postured upon fundamental environments. Graphical customer interfaces (GUIs) can also be designed to more exactly define the attributes that they express to soundly display and induce spontaneous customer response. Clickable, spinnable, slideable, and draggable input come from intuitive design. The perceptive innovation of the designer directly translated into the reciprocal spontaneity of the customer enervates both processes into a cycle of positive customer feedback and further creative initiatives. Visual and audio perception are the normal customer perspectives within computing interaction. The purpose of data communicated through the input and output interchange is to impact the senses and thereby stimulate intended cognizance. The sensory perception of customers can be read by their behavior. The coupling of feature design with customer behavior is the means through which innovation happens to meet customer needs. Both computers and customers operate within a computing environment in that both computing applications and customer activation meaningfully contribute to an ambiently structured dynamic. A change in any variable between the two contributors changes the nature of customer and feature interaction. Stable innovation in computing features, therefore, happens by finding the invariables (stability) and feeding useful variables (flexibility) of design and innovation into those invariables, thereby producing newly developed functionality. In this manner, the ecology of computer interfaces interactively engages the customer component into participation. The customer is the impulse for the variable of feature design. The fluctuating demand from customers for new experiences and ease in application induces innovation. Innovation augments the ambiance of computing to expand the possibilities of customer interactions and enhance customer experience. Perception into how the customer functions produces features that focus on customer physical and intelligible interactions. Insight into customer ambitions and reasoning creates enhanced customer experience. The logicality of operations and the heightening of customer experience are therefore the two prime reasons for quickly incorporating customer feature requests. Combining usability with customer aspirations seems to be a key to meeting customer feature requests. 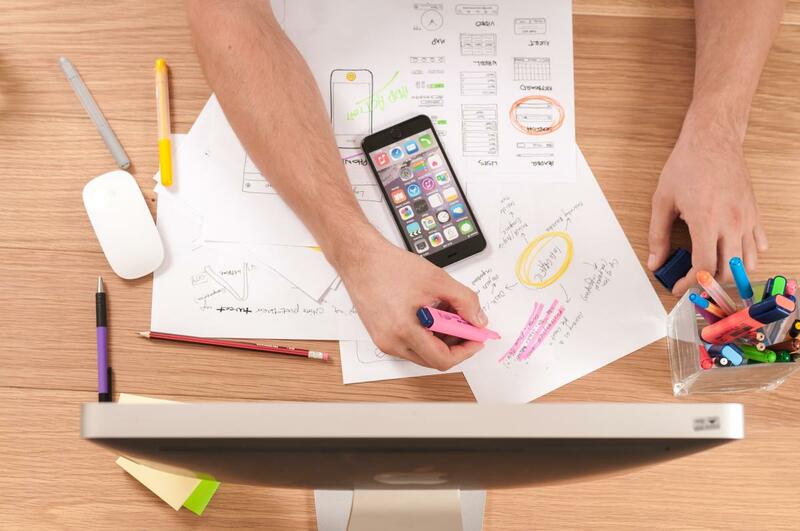 Certain methods of the software development process can quickly incorporate customer demands into how application design has and will define the market. Usability has to do first with what the customer visually perceives as a smooth process and second with what the customer experiences when actually enacting the process. If the visual perception does not appear smooth, then enaction may not occur. Feature enhancements are best directly delivered to consumers without the need for supplemental interfaces. Graphical design is highly effective in affording customers with the perception that interfaces are as directly accessible as interaction with natural world experiences. Computing thereby becomes an extension of natural senses and behavior. The ecological perception of customer and computer interactions places new challenges and opportunities for binary systems. The rationality of software use seems to be trending from immediate problem solving towards acting upon real-world and real-time customer experience. Software applications are designing new manners in which customers can augment real-world physical activities and psychological ambitions. The communication of meaning is increasingly overriding the rationality of problem-solving. From mechanical keyboards to drones, from fitness trackers to online banking, and from calorie burn calculators to automatic softball pitchers, users are increasingly adhering to life-augmenting computing. To the furthest extent, virtual reality actually moves computing off the screen to rearrange computing space into a three-dimensional application. From what perspective does consumer interest in the feature arise? What does the feature allow customers to do? What level of usability is integrated into the feature design? How sustainable is the interest in feature functions? What standard for customer service is integrated into the feature? To what extent does the feature heighten interest in computing software? To what extent does the feature heighten functionality of computing? Posing these questions before initiating development can be the difference between releasing a successful product or deploying a decline in sales. Leveraging feature innovation begins with innovation metrics. Innovation metrics both evaluate the results for design and origination and tend to drive customer behavior by anticipating the types and extent of future activity based on past tendencies. Metrics can also transform customer requests into application initiatives. However, metrics also require insight and perception. Create a business ecology that positions metrics as central to the process of innovation. Evolve innovative capacities that remain dynamically coactive with the business environment. Develop innovation metrics as measurement standards in relation to customer feedback and ROI. Develop DevOps metrics that ensure a comprehensive assessment of customer needs and requests. Integrate innovation metrics into the Agile iterative process as a creative assessment of planning, design, and development. 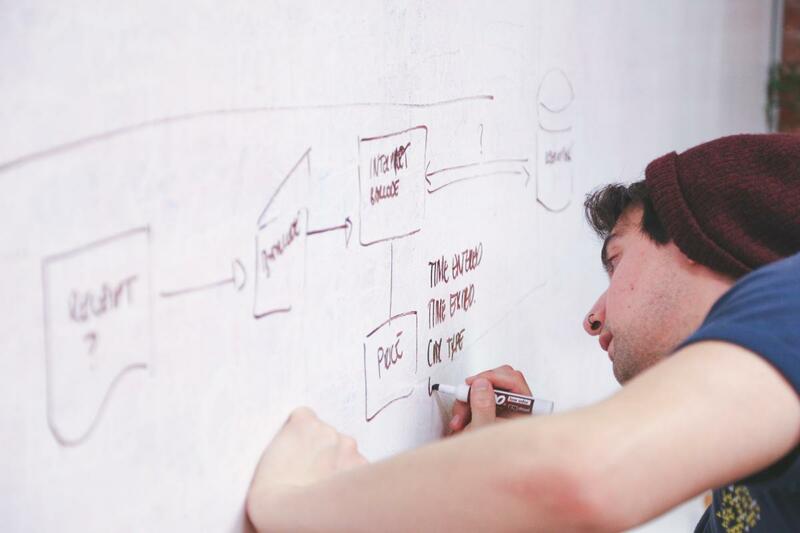 Incorporate R&D into the DevOps process to augment the customer-facing creative process. Modify design metrics in relation to the capacity of system infrastructures and innovation capabilities. Convert successfully rendered customer requests into drivers of customer behavior. Once developed, innovative metrics can significantly advance quick incorporation of customer feature requests, generating increased customer use and positive customer feedback. Revolutionary products and services don’t create themselves. It takes creative mentalities that are willing to unsettle certain aspects of computing tradition to introduce transformative innovation. With the current accelerated pace of change, innovation is the operative key to remaining relevant in the software customer market. For innovation to become the anchor of business sustainability, disruption of what is traditional for creative initiatives must at times influence the business culture. To induce rapid, successful innovation, businesses must sometimes be radically transformed into the culture of creativity. Over-engineering, over-structuring, exclusive reliance on anticipated results, and placing procedures ahead of people squelches creativity. Creativity requires openness towards processes, collaboration on new ideas, integrating divergent perspectives, proper resources, tools such as an Agile test management, and building communication across departments. Business heavily steeped in tradition sometimes undergo disruptively innovative transformations in culture to immediately become competitive in fluctuating consumer markets. Risk and reduced ROI tend to be reasons for the reluctance of business management to incorporate a culture of creativity. However, it is actually creative culture that can augment ROI and reduce risk. Tactical creativity does not lack standards, strategy, or process. Strategic creativity actually expands these attributes. If management is demoed on how the specifics of planned innovation and cultural transitions directly feed into financial benefits and reduction of risk, introducing an innovative structure can acquire the enterprise support it needs. Certain calls for innovation may simply require improvements in process or enhancement of customer service. However, quickly innovating change from a traditional production model to meet customer feature requests requires revolutionary creativity to the point of architectural reconstruction. Incorporating customer feature requests ASAP requires rapid change and conceptual alteration. Disruption doesn’t occur for its own sake. Rapid shifts in consumer preference, sometimes brought about by the innovation of other companies, at times call for emergency measures. These are times in which businesses which survive consumer shifts rapidly incorporate the internal changes necessary to innovate products that re-engage customer preference. In contrast, the familiar processes of change and creative design is evolutionary rather than revolutionary. Analyze the need for change in respect to the current product marketability, deployment status, and cost to market. If your process is currently working, don’t try to fix it. The right mindset and metrics can determine the type and extent of change required to expeditiously meet customer requests. Realities inherent in organizations and the process of innovation must be considered when quickly incorporating new features. If incremental innovation or normal updates to products and services are sufficient to meet customer demands, then remain with these processes. The compelling need for business to satisfy customer requests brings to the forefront the means of innovation that is projected to advance industry and industry’s appeal to customers. The business wasteland is strewn with enterprises that couldn’t or wouldn’t meet consumer demands in time to retain customers. As well businesses marvel at enterprises which have, through creative innovation, lead whole industries in increased customer involvement. The business imperative is, therefore, to incorporate features that customers request and that meet customer requirements for smooth interaction and heightened aspirations.